Find the perfect teacher or instructor in Montlake for private ukulele lessons in your home or in their studio. I can teach you 4 or 5 very effective and versatile strums and how you can utilize them to play the songs in any style you'd like to play. Depending on what you'd like to learn and whether or not you'd like learn to read music, we can work with or without an instruction book/accompanying CD (I have carefully chosen one I feel is practical, fun and user-friendly). Or I can just work out songs for you to play, show you the chords and give you suggestions on how to put it all together. I also offer instruction on how to go about writing songs on the ukulele. The basic "chord-families" will be taught first, followed by melodic runs on the 4-string fret board. Tuning is easy! see Guitar instruction. Ukulele is an instrument I've come to play a lot and really appreciate in recent years, and I love to teach it! I've got you covered for CLASSIC Ukulele songs as well other familiar non-Uke recordings for a new twist. Chord sequences, scales, strum and pick-patterns.. just like all my lessons we'll cover music's essentials. With Ukulele lessons the main goal is to create a student-teacher environment where we can have fun and learn simultaneously. The Ukulele is an inherently joyful instrument that can bring a smile to anyones face, and through lessons we will learn to harness this incredible power! Lessons will consist of learning basic chords and singing songs! We will eventually progress to more harmonically complex chords as well as learning beginning and advanced music theory in the process. We will learn music ranging form early American folk and blues to pop and jazz standards. I also like to focus on writing original songs on the Ukulele as well as any other personal musical goals students wish to achieve. Ukulele is a newer instrument to me, but I have been teaching and performing for over 8 years now. I have played music since age 5 starting with violin and later guitar, which I studied at Berklee College of Music. Uke became a recent passion as I formed an acoustic duo of cello and ukulele (and singing) called DvOd that has performed all over the NW and released a CD. I provide a core curriculum of basic technique and music knowledge, combined with customizing to the student's interest. From Traditional Hawaiian to Eddie Vedder to Jake Shimabukuro, I can help you learn your favorites. Are you a fan of Jake Shimabukuro? Tired of playing the same songs again and again? Struggling to find a video with a clear view of the player's finger? When I picked up the ukulele for the first time, I wanted to be the best. Unfortunately, there were no resources or teachers who offered ukulele lessons at high levels. Having been an instructor for a music shop, I'm ready to teach anything, from the basics, to complex strumming patterns, dazzling finger picking or famous songs that have no tabs online! My students have ranged from 4 to 60+ years old!! Message me for any questions. The average cost of 60-minute ukulele lessons in Montlake is $60. While the exact cost will vary depending on the teacher, type of lesson, and your location, you should expect to spend anywhere between $60 and $60 per hour. 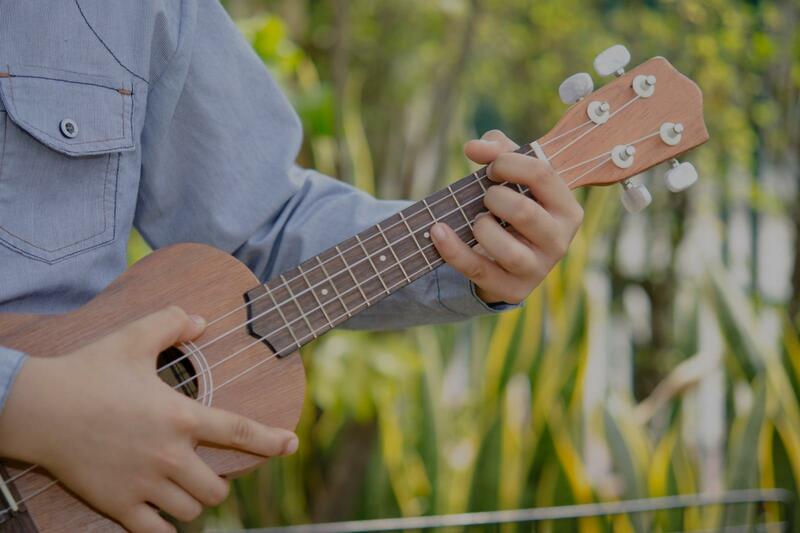 For the best experience, we typically recommend 60-minute ukulele lessons. However, students looking for a more affordable option may want to consider a shorter lesson length of 45 or 30 minutes. On average, 45-minute ukulele lessons are 20% less expensive at $48, and 30-minute lessons cost 42% less at $35. Curious how much ukulele lessons cost in your area? Do a quick search to get local prices for the best ukulele teachers near Montlake. "He's great! Teaches at my pace but also pushes me to go further." s, gets you going with something you can gt reasonably quickly so you feel you have something to show for your efforts right off." "My daughters first lesson with Matthew was great. He is really good with children and I could see her wheels clicking into gear right away." "First lesson with Jared was great. Looking forward to many more in the future!" "My daughter is new to the Ukulele and Matthew is very patient and encouraging. We have had 4 lessons and my daughter is really enjoying them so far." ing before continuing with the lesson." "Halle finished her 5th lesson today. She is really enjoying her lessons and learning quickly. We are very happy we found Matt." y first lesson...an old blues song that has been recorded by many different kinds of artists. I went home with assignments to practice tuning, a few chords, rhythm, and finger picking....just some introductory experiences. Cameron is professional and obviously loves teaching people I look forward to my next lesson!"